Beautiful video of Mt Fuji in winter season, early 2015. For a nation that puts noodle (yakisoba) between breads, nothing else seems surprising any more. 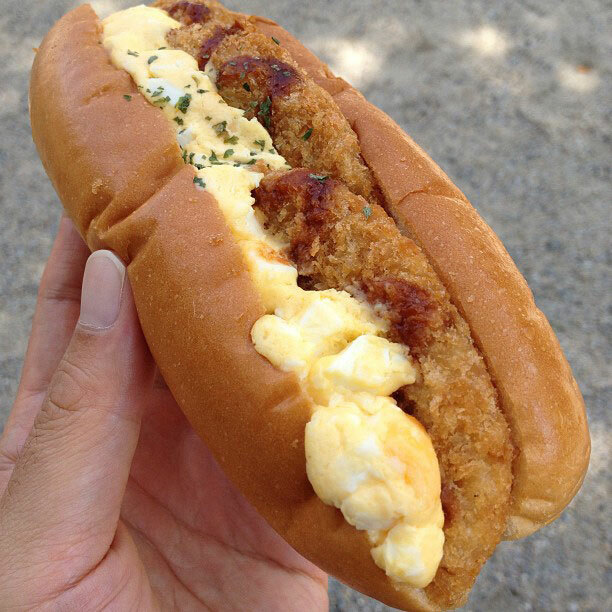 This egg croquette bread looks good though. 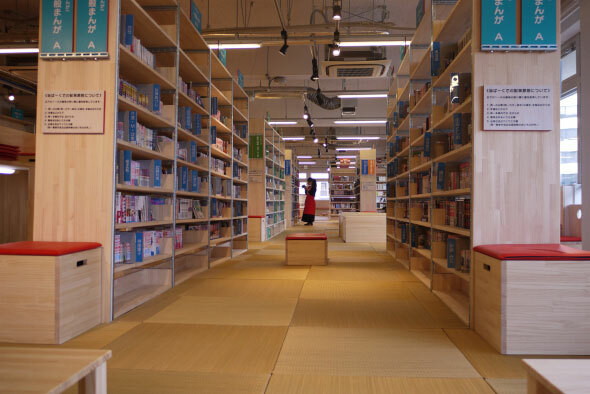 Some photos from Tachikawa City’s Manga Park, a massive manga library (or rent-a-book store since it’s not free) in western Tokyo with a collection of 30,000 comics. Cost 400 yen (US$4) per entry (which is quite affordable to most Japanese), plenty of books & spaces, and a dining area with curry and beer. Steam locomotive vs cherry blossoms in Shizuoka Prefecture.